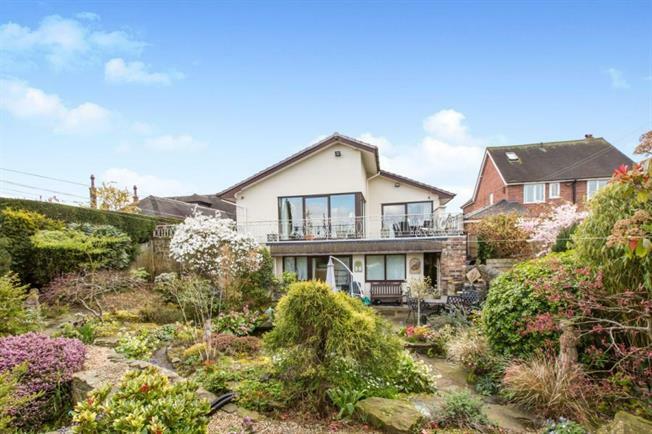 4 Bedroom Detached Bungalow For Sale in Stoke-on-Trent for £480,000. Impeccable in design and style, this magnificent bungalow that offers unique living, sits comfortably & discreetly it is surroundings with stunning open views to the rear, taken in by the fantastic panoramic window from the lounge and the balcony area outside. A spacious & elegant entrance hallway leads you to all the spacious rooms, including the fully fitted kitchen with breakfast area, open plan lounge/dining room, three bedrooms, family bathroom, and en-suite. On the ground floor accessed currently seperate from the main bungalow is a fantastic very large room which can be a multitude of things, tennager pad, annexe, office, gym, games room the list is endless! Externally there is ample off road parking and a landscaped front and rear garden with the rear affording those magnificent views. This is truly a one off opportunity to purchase this delightful bungalow.